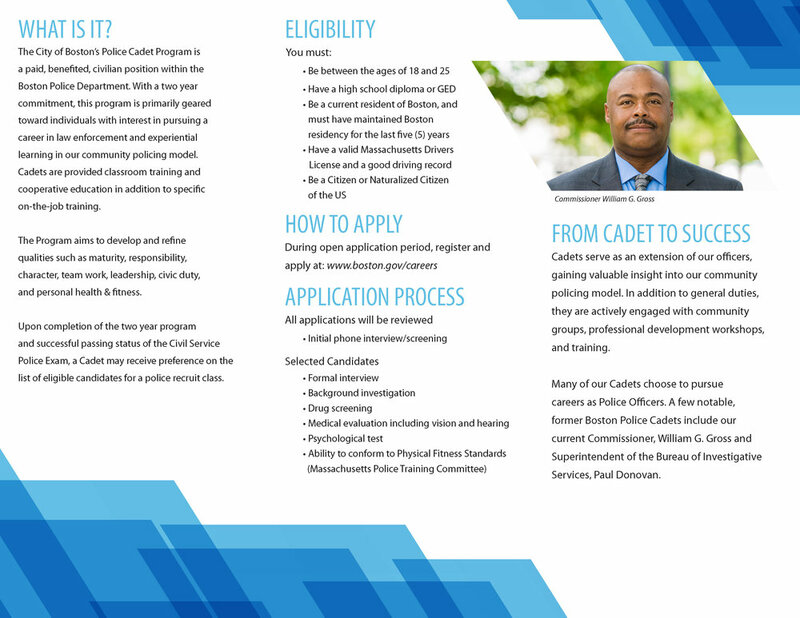 Apply to become a Boston Police Cadet! City of Boston residents between the ages of 18-25 are eligible to apply to join the BPD through the cadet program. Through a two-year commitment, cadets are able to gain valuable information and a direct path to becoming a Boston Police Officer. With the successful completion of the cadet program and by passing the civil service exam, cadets will receive preference on the list of eligible candidates for a police recruit class. Apply online here before the deadline on March 15, 2019.